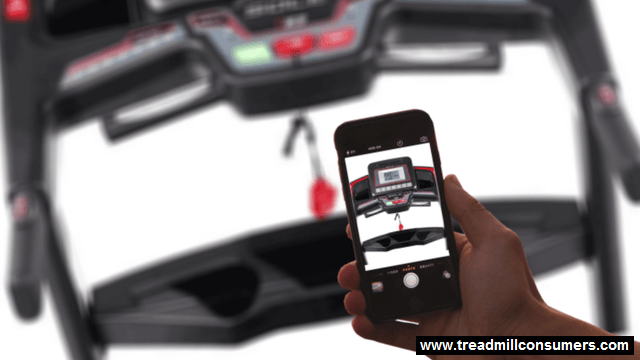 Did you hear the buzz about the 2019 Sole F63 Treadmill? If you want to find out whether or not this machine is your best choice, this article will give you real user reviews, strengths and weaknesses and my personal thoughts on the F63 treadmill. DON’T MISS: The Sole Fitness yearly new year’s sale has commenced. Well well well, it’s 2019, and as I reflect on an year of exponential growth, I’m indeed thankful for your constant support and contribution to my website development. I take much pride in having each and every one of you as my follower and value the confidence you have entrusted me with. Thank you! You want to get in shape and lose weight, but gym memberships are expensive, and you’re not really all that into weight training? 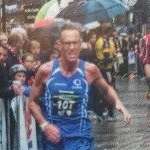 You prefer walking or running, but often the weather doesn’t cooperate? You’ve heard that Sole treadmills have really come into their own, and that you can get one at a reasonable price that won’t take up an entire room in your house? You like the idea of being able to exercise when you want, independent of weather and without the cost of a gym or health club membership? Of course you want to make the best choice, so you’ve been shopping around. I have too, and bellow is what I found. 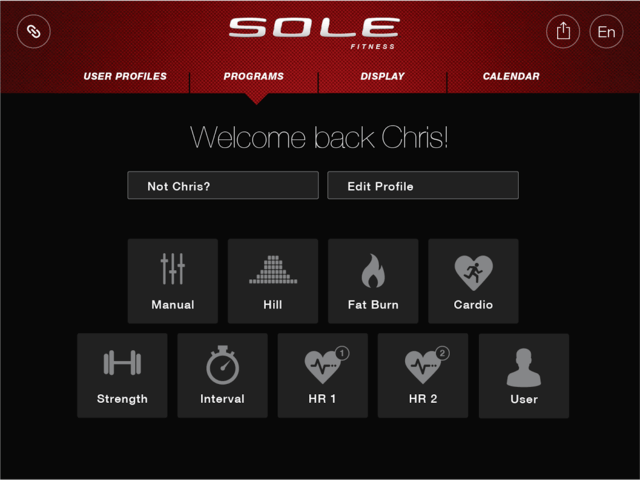 Update 01/18/19: The 2019 new years’s sale is here and Sole Fitness has announced a site-wide sale. Get the best price of the year & free shipping at soletreadmills.com (the newest model features improved reliability and bluetooth capability). Check out the new year’s sale – save $100 on the F63 treadmill here >>. 2019 has arrived, and I would like to point out a compelling alternativ to the classic treadmill, the Bowflex Max Trainer M3 & M6. Bowflex has released a new and improved series of their ever popular Max Trainer series (Max M3, Max M6 & M8), the goal is to compete head-to-head to the classic treadmills. Studies done in the Bowflex lab, has shown that the Max Trianer is able to burn up to 2.5 times more energy (calories) than the classic treadmill. Nowadays I recommend my new clients to consider the Bowflex Max Trainer M3 or M6 as an alternativ to the classic treadmill, check out this review for more in-depth information about the entry-level Max Trainer M3 and this review for the Max M6. The Sole F63 treadmill could be the next best thing to a health club piece of equipment. Consumer magazines and reports acknowledge the Sole F63 as being on of the best in its class, and a great value at $999 (right now $899 – black friday sale price). Sole Fitness has been building treadmills for decades (on par with Proform), and incorporates quality components in every treadmill product. The Sole F63 features a strong, 3.0 CHP motor that delivers speeds of up to 12 mph, and the treadmill features 15 levels of incline. 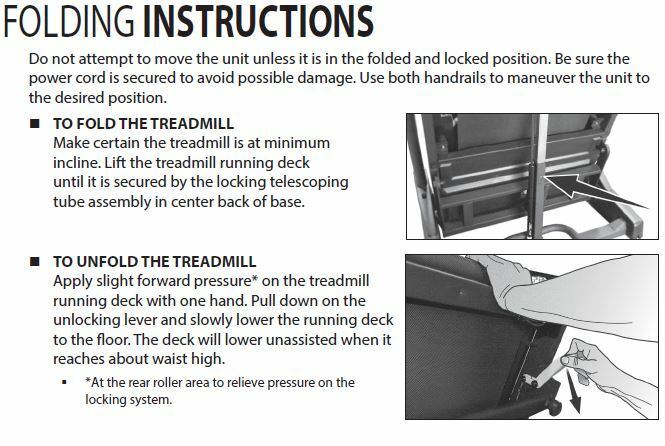 When the treadmill is not in use, the deck locks into place (foldaway) to ensure that children and pets remain safe. There’s also a stop switch for user safety. Additional features of the Sole F63 include a high contrast white back-lit display with digital readout, a fan for user comfort, and built-in speakers that allow the user to hook up an iPod or MP3 player. Well this is it. 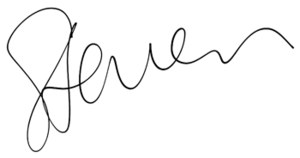 An app for Android and iOS devices that connects with other fitness apps such as FitBit and MyFitnessPal. 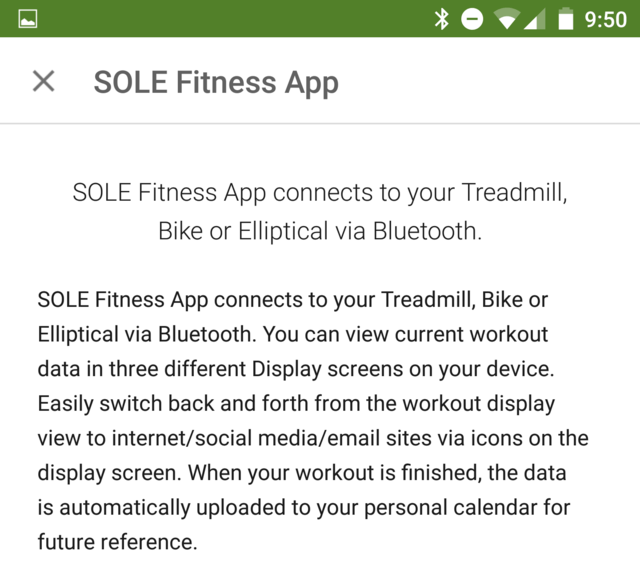 The app has Bluetooth® wireless technology integration, which makes it possible for it to be used with the Sole Fitness treadmill. The app stores all workout history in one secure location. It also lets a trainee’s mobile device serve as the treadmill control center. Another feature of the mobile app is that it can be used for making workout selections then sent to the background while other apps such as those for entertainment are used to help exercise time pass by fast. A good exercise treadmill provides the user with a great cardio workout along with options for strength-building and weight reduction. 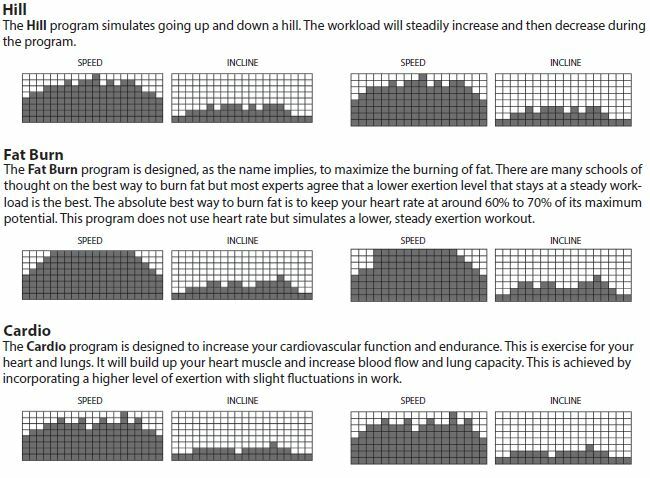 Ideally, the user should be able to enjoy a basic cardio workout or go full-bore into a program that mimics an outdoor run that would include hills. The Sole F63 has six pre-set programs that offer a range of workouts from mild cardio (1.0 mph) to extreme fat burning. The user-friendly console lets the user know how fast they’re walking or running, how steep the incline, time, distance traveled, calories burned, pulse and pace. There’s a quarter-mile track feature, and a graph that shows the peaks and valleys for different programs. Clearly, it’s not enough just to be able to get on the treadmill and walk or run – you want to be able to track your progress. The Sole F63 display enables the user to do this effectively. Another noteworthy feature is the foldable design, enabling you to fold up the treadmill and put it out of the way. There are over 30 reviews of the Sole F63 treadmill posted at amazon.com (a). 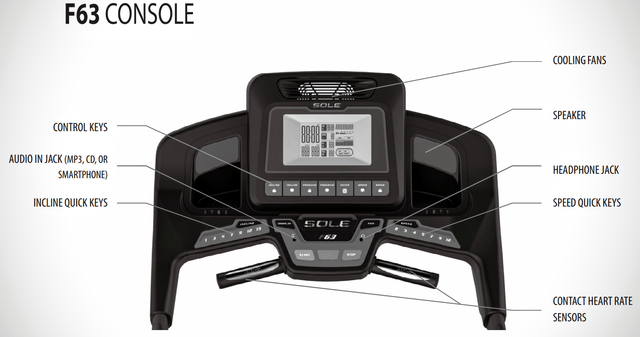 One user described the Sole F63 as the most solid treadmill available in its price range. In other reviews, Mary said “I wouldn’t trade my new treadmill for anything,” and George said “Well built, full of options.” GeekExtraordinaire stated that the F63 did everything he expected it to do. From these reviews, it would appear that customers who have purchased the Sole F63 treadmill are pleased with the product and that it performs to overall customer satisfaction. Not everyone offered glowing reviews of the Sole F63. Brad reported that the bolts were a little hard to line up, but he was otherwise satisfied. Other users were troubled by the fact that the Sole F63 takes a few seconds to ramp up or down to the desired speed. Additionally, users who reported running more than a hundred miles a week felt that they should have spent a little more and purchased the Sole F65 or the Sole F80. Based on customer reviews (b), and considering equipment in the same price range, the Sole F63 looks like a good deal. Still, $999.99 (or $899.99 after discounts) isn’t an amount that most people are willing to shell out without considerable thought. Sole offers a 30-day money-back guarantee on all their treadmills, so you can try it out risk free and return it if you’re not satisfied. Additionally, there’s no tax on the Sole F63, and shipping is free. A word of caution – to be sure that you get the full benefit of Sole workmanship and the Sole guarantee, avoid “discount” sites where you might get a better price, but no guarantee and no way of knowing if the equipment has been misused or modified. Based on our research and consumer reviews, the Sole F63 is a product that delivers what it promises. The only caveat is that it may takes a few seconds to ramp up or down to the desired running speed (not a big problem really). The price is very reasonable for a near gym quality treadmill, and the product is backed by a 30-day money-back guarantee. For your money, this particular treadmill from Sole Fitness is a dandy deal, and it gets our full recommendation. 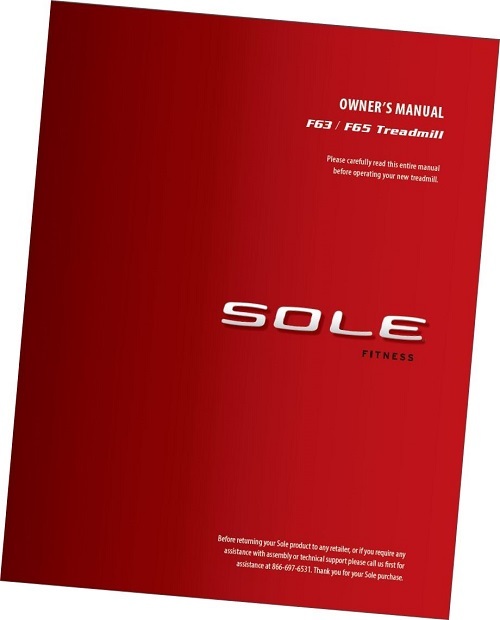 You can save $100 (new year’s sale) on the F63 Sole treadmill (was: $999.99 now: $899.99) + you get free shipping at soletreadmills.com. 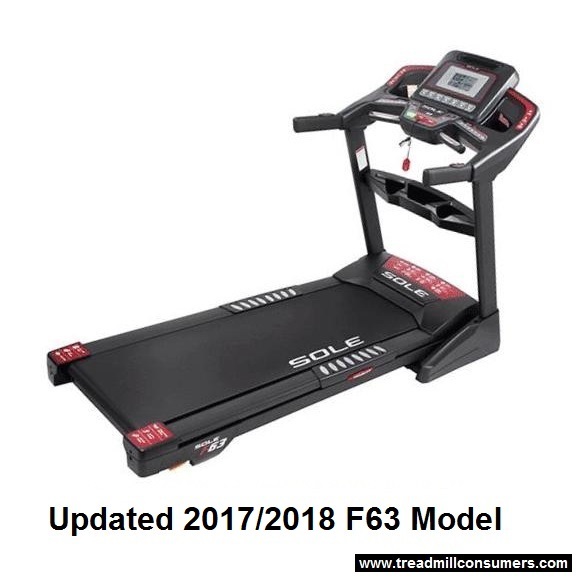 Get $100 off the 2019 Sole F63 treadmill here >>.